This was what the Lake Oswego boys golf team wanted. It's what the Lakers had worked for, waited for and prepared for — a chance to battle the state's best teams in the biggest tournament of the high school season. In the end, Lake Oswego proved again what it had shown all season — it was up to the task. Competing in the 2018 Class 6A boys state golf tournament, held Monday and Tuesday at Emerald Valley Golf Club in Creswell, the Lakers finished third overall after shooting 659 and trailing only first-place Jesuit's 595 and Mountainside's 653. 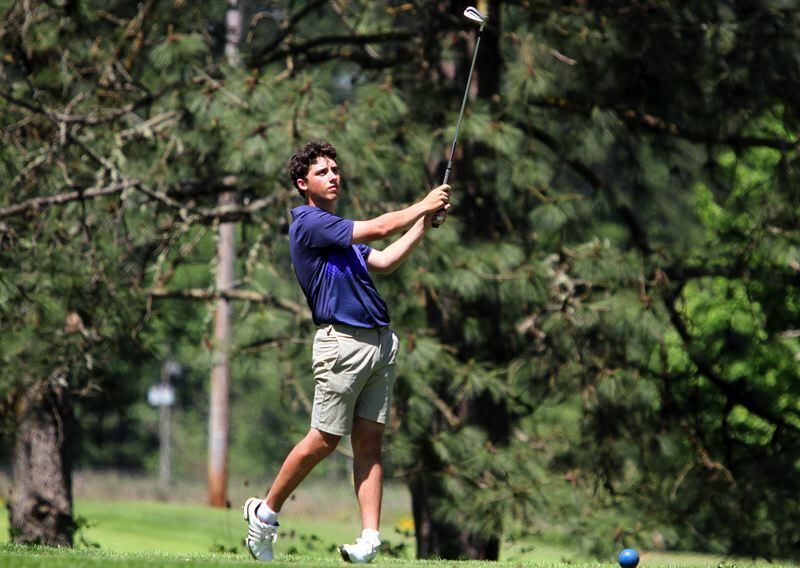 "The course was difficult and the kids battled hard (but I'm) proud of the progress the kids made this season," said Lake Oswego's first-year co-coach Max Carter (along with Tye Gabriel). The complete team scoring was: Jesuit 292-303—595, Mountainside 322-331—653, Lake Oswego 328-331—659, Tigard 331-338—669, Sheldon 332-339—671, South Eugene 341-331—672, Clackamas 328-348—676, West Salem 337-340—677, Lincoln 340-342—682, Central Catholic 337-347—684, Roseburg 349-342—691, Sunset 347-351—698. Individually, Lincoln's Nate Stember finished first at 71-73—144, followed in the top five by Jesuit's Brody Marconi at 75-73—148, Jesuit's Andrew Reinhardt at 71-77—148, Jesuit's Johnny Ward 72-77—149 and Jesuit's Samir Dutta 74-76—150. For Lake Oswego, junior Jacob Brumfield was the Lakers' best, finishing in a tie for 14th after shooting 81 on Monday and 78 on Tuesday for a two-day total of 158. Junior teammate Peter Bouchard was LO's next finisher in a 20th-place tie after shooting 80-81—161. Also scoring for Lake Oswego were freshman Jacob Burnett (34th at 84-83—167), senior Andrew Ramey (50th at 83-90—173) and junior Michael Zhao (63rd at 88-89—177). "We didn't have our best stuff, but coach Tye and I couldn't be more proud of the preparation from our squad," Carter said. "We look forward to seeing some more progress throughout the summer and hope to be even better come next season." Lakeridge sent sophomore Aaron Buck on to state for the first time as well, and Buck showed he belonged among the state's top golfers. 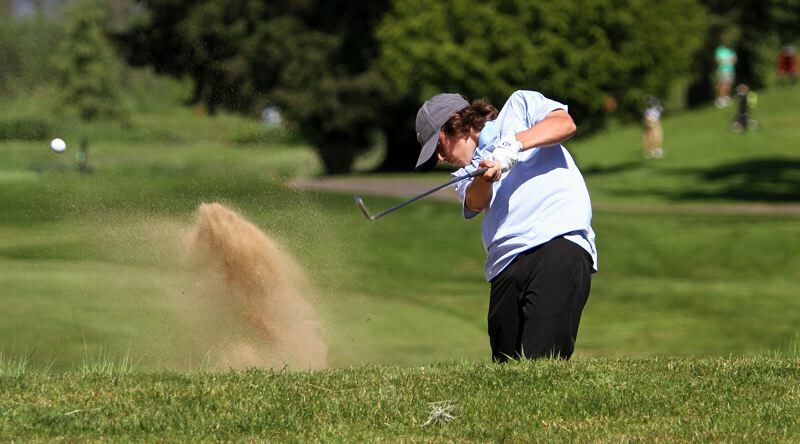 Buck, who finished fourth in the Three Rivers League individual scoring race and qualified for state through the 6A Special District 2 regional, shot 78 on Monday, then added an 85 on Tuesday for a two-day total of 163 and a 24th-place tie.